Last summer, a stunned Iraqi government saw its control of control of a large part of the country evaporate as Islamic State of Iraq and al-Sham (ISIS) insurgents seized the city of Mosul and a sizable part of western Iraq. As the Iraqi armed forces disintegrated, Prime Minister Nuri al-Maliki scrambled to fortify Baghdad. 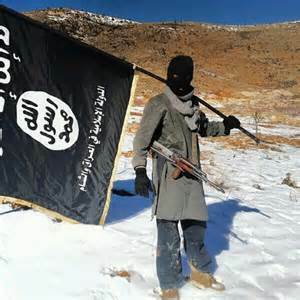 Relishing the speedy gain, ISIS declared the establishment of a new Islamic caliphate in the parts of Syria and Iraq under its control. Much of the responsibility for the stunning Iraqi military implosion rests on Nuri al-Maliki. He was haughtily filling the positions of prime minister, minister of defense, minister of interior, minister of state for national security and commander-in-chief of the armed forces at the time. Maliki also had thousands of special counterterrorism troops and several spy agencies reporting directly to him when ISIS overran parts of Iraq. Flawed decision making by Prime Minister Nuri al-Maliki set the stage for the collapse. The Maliki government, ignored and/or violated key provision of Iraq’s new decentralized federal constitution as it consolidated power in Baghdad. Iraq’s 2005 constitution, approved by 78% of the electorate, supposedly established a republican, federal, democratic and pluralistic form of government. Islam was recognized as the official religion of the state. Guarantees of full religious rights for minorities such as Christians and Yazidis were included. Despite being vague on many important issues, the constitution offered a structure that could have moved the country down a path to a better future. Making the process work, however, would have required Maliki to form an inclusive leadership group. Instead, he ignored the constitution’s provisions for decentralization and power-sharing, alienating the Sunni Arab and Kurdish minorities. 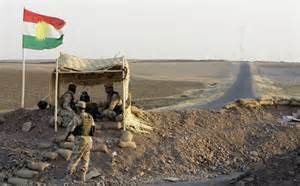 In the aftermath of the ISIS attack, the Peshmerga (Kurdish fighters) of the Kurdistan Regional Government (KRG) have taken control of all the disputed territory claimed by both the KRG and the central government. Al-Qaeda was subdued and the insurgency was under control when U.S. forces withdrew in 2011. 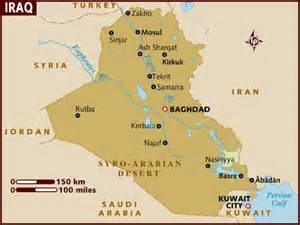 The Americans paid the Sunni tribesmen for providing security, thereby lending support to the government in Baghdad. As Maliki studiously worked to concentrate his power, he ignored the Sunni option. After the American withdrawal, Maliki foolishly stopped paying the salaries, the Sunni tribal militias never became part of the Iraqi national security forces. With U.S. help, Maliki became prime minister in 2006 when the Iraqi political parties could not agree on any other candidate. 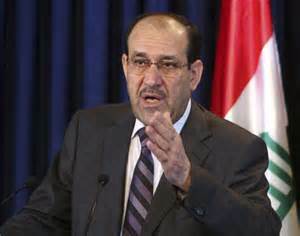 Maliki is said to be extremely distrustful, having spent 30 years in covert opposition to the rule of Saddam Hussein. Around 2008, he began to display his autocratic inclinations, taking advantage of his position to repress Sunnis. As Prime Minister Maliki concentrated power in his office, Sunnis were marginalized and excluded from government affairs. He also slowly closed the legal channels open to those wanting to address the problems of excessive central control, bribery and corruption. Maliki circumvented the provisions of the constitution he didn’t like, the ones addressing the division of powers, independent committees and checks and balances. He did not keep the power-sharing promises he made to other Iraqi political parties. There was apparently nothing to stop Maliki from overreaching as he established new military units that reported directly to him. The independence of the Federal Supreme Court was compromised when Maliki turned it into organization politically loyal to him. In a country obtaining 90% of its revenue from oil and gas, vital oil and gas revenue sharing issues were never resolved. An agreement to share the revenue from new oil and gas fields with Iraq’s regions and governorates could have created a check on Maliki’s power. It would have given the Kurds and Sunnis a financial stake in keeping the country together. Now out of office, Maliki departed with parts of the country overrun, the national political fabric shredded in sectarian fragments. If Iraq is fragmented beyond repair, the progress paid for by the nearly 4,500 lives lost and the over $800 billion the U.S. has spent on Iraq will have been mostly negated.